Music in the lounge and bar Friday and Saturday. Two lovely rooms. Back room accommodates up to 45 guests. Our Sunroom can accommodate up to 80 guests. Please join us for Mothers' Day Brunch. 9:30 AM to 1:30 PM. We will also have Dinner from 3:00 PM to 9:30 PM. Always a pleasure. The food is consistently excellent. Our steaks were cooked perfectly and were delicious. The salad bar had a lot of options and the service was good. The steak was perfectly cooked and the service was outstanding. Library one of my favorite places to celebrate friends b days special occasions ! That being said always very happy with everything ! The service we received was not good our waitress was the worst most of the night she ignored us my walking away while as we were asking for something ! Asked for butter several times finally went to another waitress she brought us butter and another set of drinks . She wasn’t busy she talked to her other table just had no interest in dealing with our table ! Older women blonde hair had no time for our table ! And we are fun loving nice ladies 2 out of 3 of us worked in the bar tending field ! We still gave her a nice tip because we were in the business but we felt let down from our experience! Service was good, it's a pretty restaurant. But, I order a ribeye steak and it wasn't very good. Wonderful food - one of the best salad bars in South Jersey and the best steaks in the Delaware Valley! We have been eating here since 1995 or so and it is consistently outstanding! First time at this location was a bit disappointing. Food was okay, service was not good. Other locations have been much better all around. Atmosphere was a bit outdated but still acceptable. Sirloin steaks were decent but I would recommend avoiding the twice baked potato unless you love heavy amounts of garlic. This location was easy to get into on a Saturday night, perhaps because of its size, however I would recommend the Voorhees location overall. Been going there for over 20 years. Best service and steaks in the area. Coming to since 1976 l, has always been great. Still just as good. We have been dinning at Library IV for many years and have not ever been disappointed. It is our place to go for excellent food, service and always a friendly greeting when Brian O'Keenney is there. As always the food was delicious and the service was amazing. Our favorite place to dine! I think their prices are high for what you get. My chicken dish was dry. As always, we had an excellent meal. The meal itself was perfect from the salad bar to the appetizers to the entrees. The service was excellent as well. Library IV never disappoints. Our waitress was exceptional, the steaks were perfectly cooked , great atmosphere, looking forward to our next visit !! We were sat by the bar which was pretty noisy and the rest or the restaurant was pretty much open so it would have been nice to have been seated somewhere away from bar. The steak was delicious but asparagus was not and i was charged $4.95 for it. I also wish there was ranch dressing on the salad bar. I ordered my side as a baked potatoe and gave it to my husband but was charged additionally for it. Overall the value is not great and I will probably go elsewhere. The staff were all very friendly though. Great experience. Brought our friends their for the first time. Food was great but pricey. Service want as good as the food considering the price of the meal. I don't know the services was good. I ordered prime rib it was tough and overcooked . I asked for medium well , it came well done. 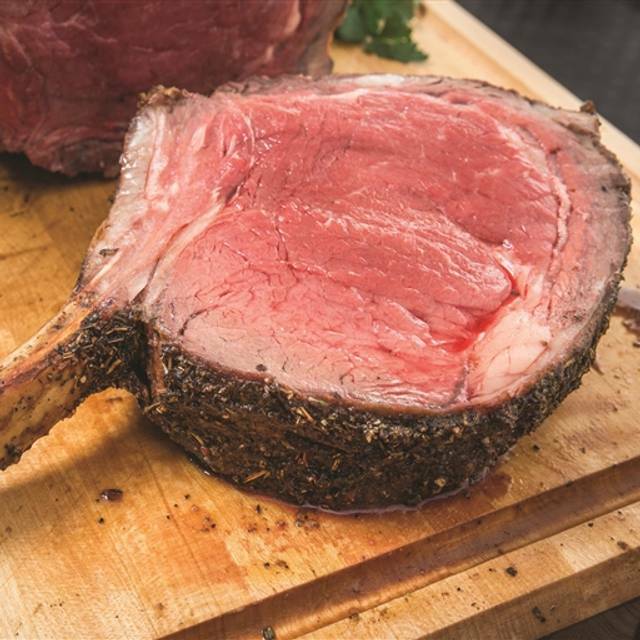 I had the filet which was very good, but my husband had the prime rib which was not a good cut of meat and was extremely fatty. Love Library IV. Dinner is always delicious, steak done to perfection, salad bar is great. One of my favorite places. Sandy served our party of 10 and did an excellent job, she was very attentive and didn’t miss a beat. The food was great as usual. My family loves coming here! It’s perfect for a special occasion when you want to keep things low key. Great food and salad bar as always. Never disappoints. Service is excellent. It’s our go to place. I had never been here before, and heard only good things! Everything was really nice, definitely will be back. The Library continues to provide an overall great meal. Salad bar is outstanding. Entrees delicious steaks and good crab cakes; they may have been better if they came broiled as we asked, but these came sautéed. Fantastic clam casino appetizer. Everything about our evening was great except our table. We were placed in the bar area. People standing around us waiting for tables made it uncomfortable. The noise from the bar area made it difficult to talk with each other and this was dinner with old friends who hadn’t seen each other in along time and really wanted to catch up. Had I known the table in the bar was actually used for a nice dining experience I would have made sure to put that in my do not list. I'm a meat & potatoes guy and this place has been my 'go to' steak place for thirty years. Great martinis too. (Thanks Vi) Salad bar is wonderful and the staff is always attentive. 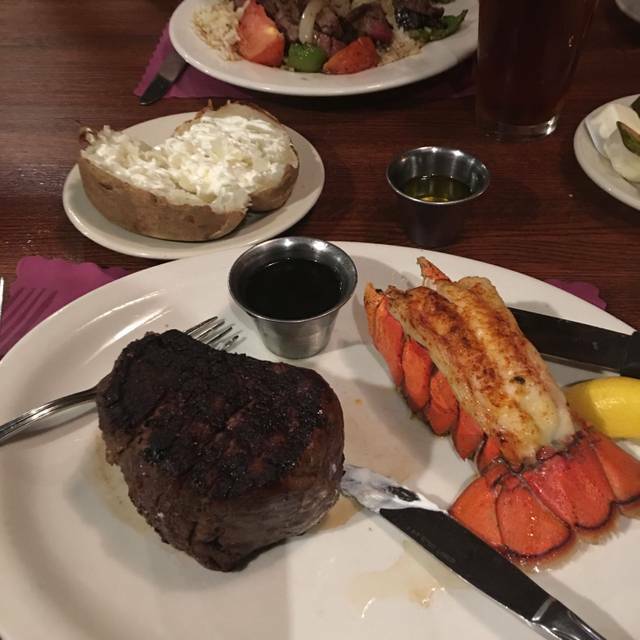 Had a decent meal with my girlfriend and another couple on Saturday 3-2-19. The food was good (as usual) but the service was painfully slow. I'm not sure why since it didn't seem overly busy nor did they seem to be short-staffed. Our server was nice enough and did separate checks for us but often to seemed nowhere to be found near the end of the meal. Took forever for her to bring us our checks and longer still to come back to collect payment (we ended up having to ask another server to track her down for us). Library IV has a great ambiance and I enjoy the way you order your food. Not a bad selection on the menu.